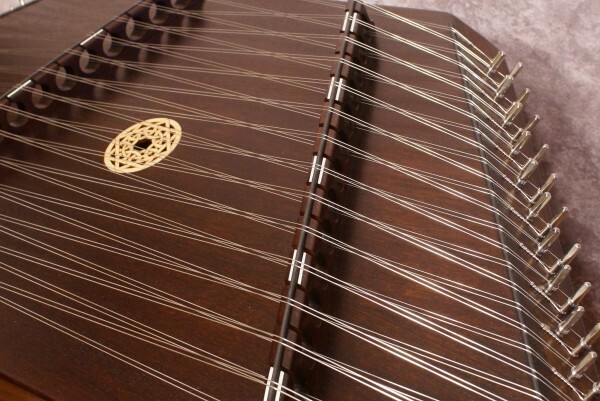 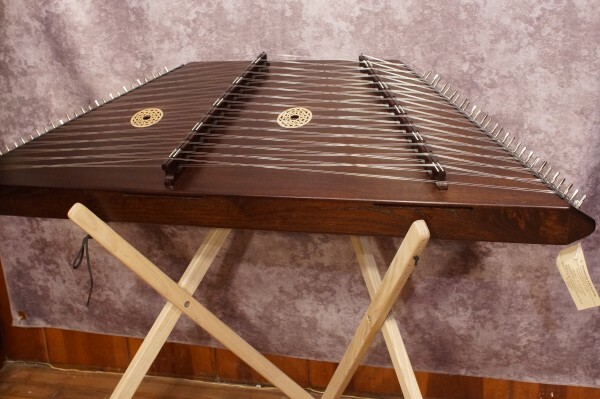 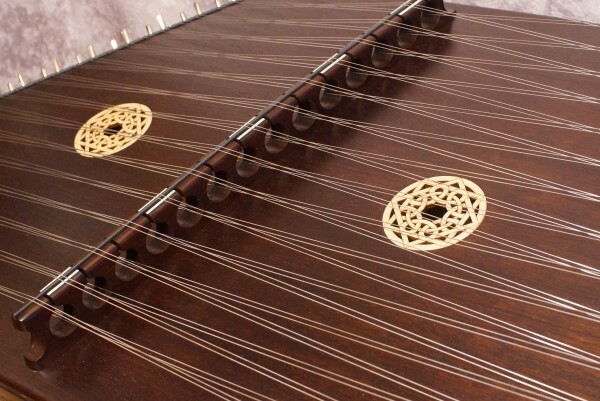 A great hammered dulcimer for an unbeatable price. 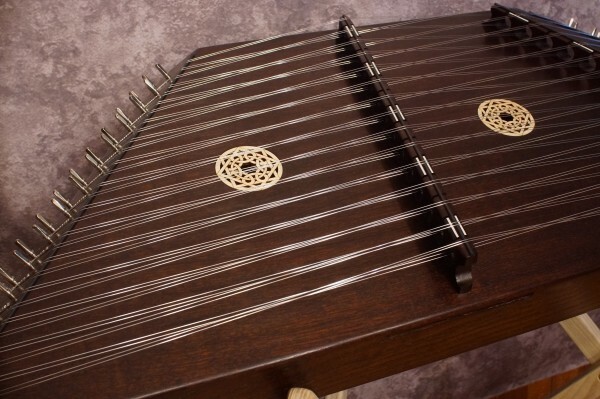 15-14 full sized dulcimer with x-brace sit-down height stand, case, and electronic tuner. 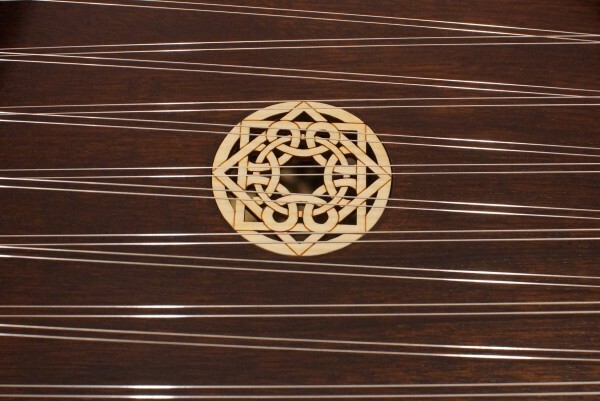 Solid Sapele top, plywood back, Maple bridges, Ash endrails, golden brown stain.